PREPARE FOR HELL WITH KINETICA!!! To celebrate their sponsorship of HELL & BACK, Kinetica have created a HELL & BACK Starter Pack, exclusively available to HellRaisers for just €49.99 including delivery (RRP €97.95). This limited edition Starter Pack will provide you with all the sports nutrition you need to be in tip-top shape for HELL & BACK on Saturday 17th June in Killruddery Estate, Bray, Co Wicklow! 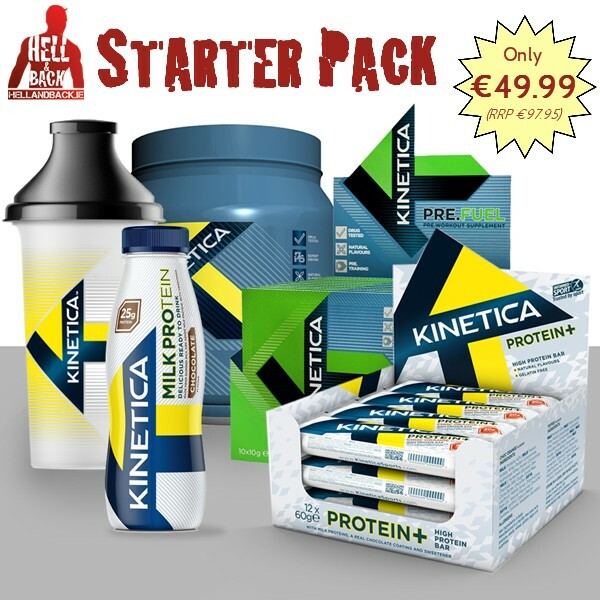 As a hugely successful Irish company based in Cork, Kinetica produce an extensive range of sports and fitness supplements that can assist you in both your preparation for HELL & BACK and your recovery afterwards. As well as sponsoring the refreshing (!) Ice Baths on Race Day, you will be able to visit the Kinetica Recovery Zone after you finish and get tips from the experts on how recover from the physical and mental exertion your body was put through on the course. simply visit the Kinetica Online Store and enter the voucher code HBSP50. Why the HELL & BACK Starter Pack? 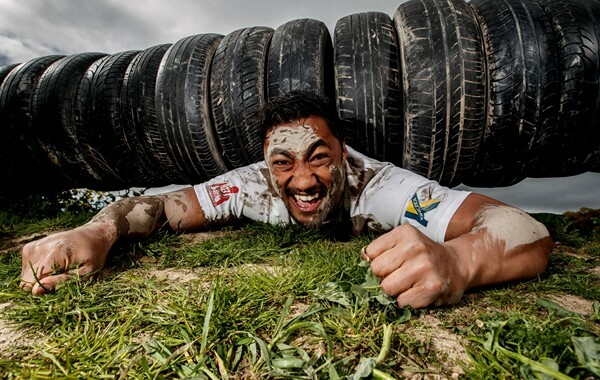 Inspiring performance, Kinetica’s products will fit perfectly with your HELL & BACK Training and Recovery programme. With all its protein manufactured in a state-of-the–art dairy manufacturing facility in Ballineen, Co. Cork, Kinetica maintains full control over supply and selection, ensuring that only the highest quality whey proteins are available to you. 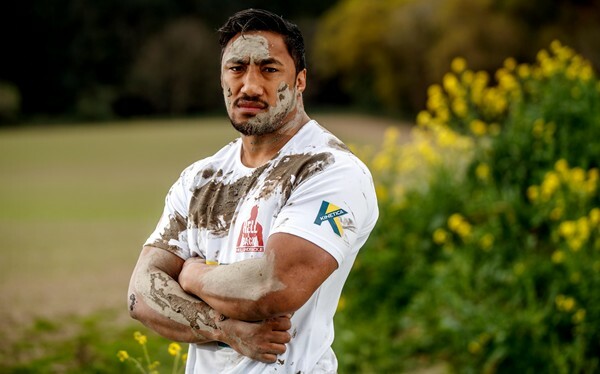 The exclusive HELL & BACK Starter Pack was created to kick start your training programme for the 7KM or 12KM on Sat 17th June and to maximise the results from each training session. Here is a breakdown of what’s included. Kinetica Whey Protein can help aid muscle repair and recovery and support the growth of lean muscle. Each serving provides 22g of protein, 5.7g of BCAAs, it is low in sugar, gluten free and has typically 118kcal per serving. It can be taken throughout the day to increase protein intake and especially after training. Kinetica Pre.Fuel is a scientifically engineered combination of BCAA’s, an amino blend, essential vitamins, minerals and caffeine to provide a powerful performance boost prior to training. For maximum results take Pre.Fuel 20 – 30 minutes prior to training and exercise. Kinetica High Protein bars offer a super convenient way for you to include the highest quality protein in your diet to support the growth and maintenance of muscle mass. Each bar provides 20g of protein and includes milk protein isolate, whey protein concentrate and hydrolysed whey protein. Ideally consumed between workouts, in the office, at home or simply on the go. Kinetica’s high protein ready-to-drink milk beverage offers a super convenient way to consume high quality protein for a more healthy and balanced lifestyle. It delivers 27g of protein per 330ml bottle, is fat free, gluten free and only 170kcals. Ideally consumed first thing in the morning, in the office, at home or simply on the go. The Kinetica shaker is a high-quality design with a secure flip top lid for easy drinking. It is the ideal shaker for mixing your protein and powdered supplements. for just €49.99 including delivery (RRP €97.95) TODAY!